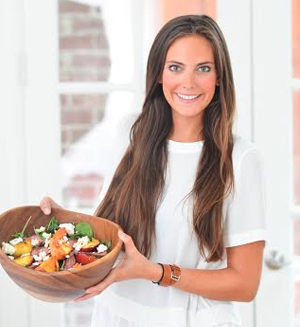 With football season in full force I have been trying to create more healthy recipes that are easily enjoyed while watching the game! 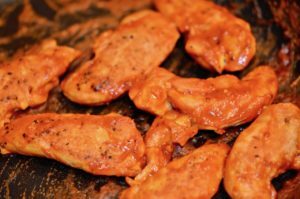 My all time favorite thing to make on game day Sundays are chicken wings. I am ADDICTED and so is my husband. We go through so many chicken wings during football season, it is appalling. 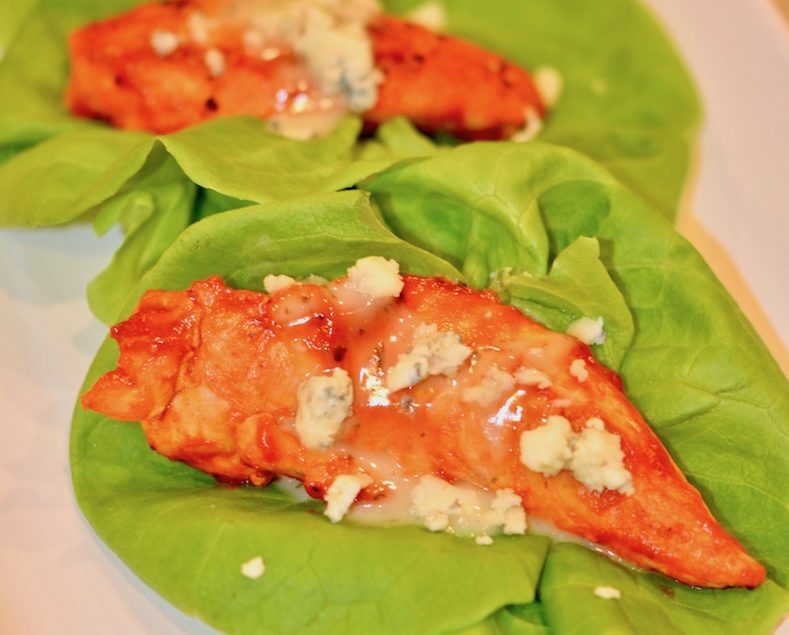 Anyways, my love for buffalo chicken wings let to me this healthier version- Buffalo Chicken Lettuce Cups. 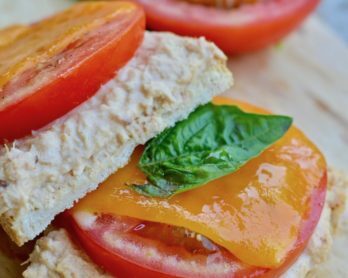 I even think these might be better because I love the addition of ranch and real blue cheese crumbles in every bite! 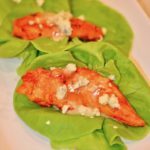 These lettuce cups are a perfect alternative for a lighter game day app or great for dinner as well! 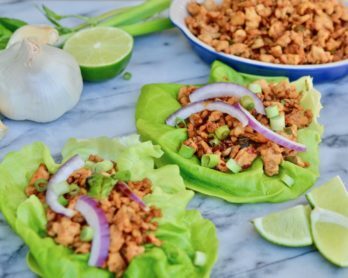 You could use chicken thighs cut into strips or I bet ground chicken would work too- give it a try and let me know what you think! Enjoy! Sear the chicken on medium high heat in some avocado oil and ghee. (I used about 1 tablespoon each.) 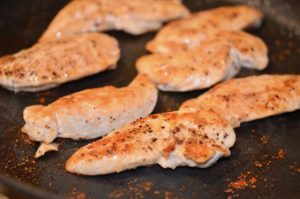 Cook the chicken until completely cooked through, about 6 minutes per side until golden brown on each side. 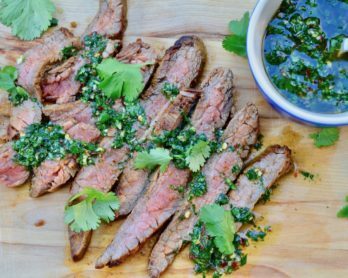 Lower the heat and pour over the hot sauce. It is going to bubble up a bit so be careful! 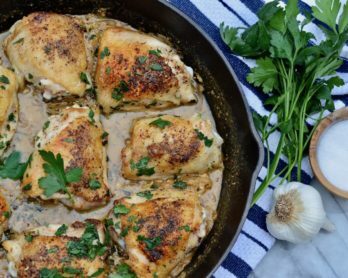 Bring back up the heat to medium high and reduce the sauce until it becomes a thick glaze and completely coats the chicken. The liquid will all be evaporated when it is done- this should take about 5 mins. 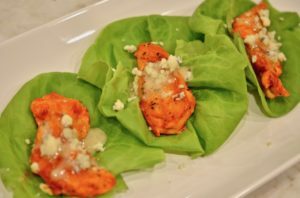 Place the lettuce cups on a tray/plate. If the leaves are small I like to put 2 on top of each other. 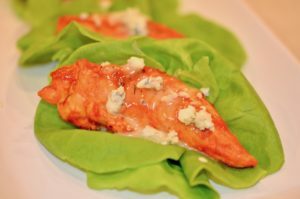 Place one chicken strip on top of the lettuce cup, drizzle with some ranch and top with a few crumbles of blue cheese. Enjoy!